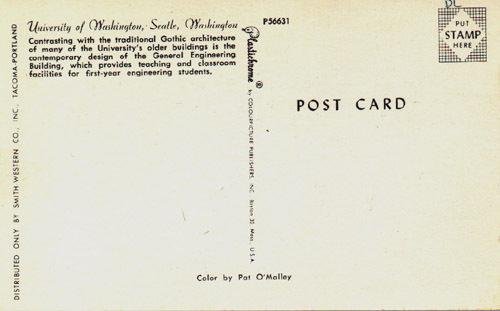 Sieg Hall Featured On Postcard! In February 2001, 1988 CSE Ph.D. alumnus Eli Messinger was cruising a postcard show in the Bay Area. Guess what he found in the 25 cent box? Eat your hearts out, all you departments with fancy new buildings! Don't miss Sieg in the '70s! 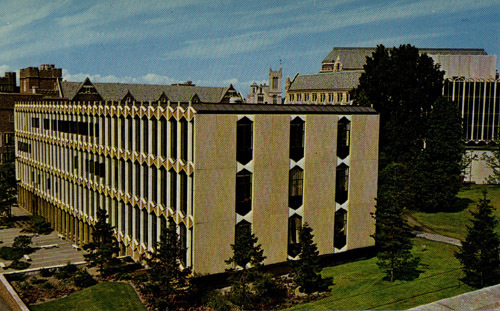 Back to Beautiful Sieg Hall -- "The Pride of UW"